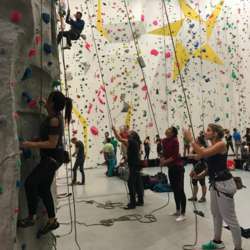 You must be a member of the Geneva Indoors & Outdoors Rock Climbing Group to attend this activity. Would you like to join this group? This will be a weekly event, so if you cannot make it this Tuesday, put it in your calendar for next week. We will carpool to get to the place, please tell us in the comments if you need transport or if you have space in your car.